According to the release, today’s results are from testing of the geophysical anomalies, in the quartz monzonite intrusive, in the eastern part of the mineralized area. Sierra Metals (TSX:SMT) has today (October 1) confirmed the discovery of a new style of mineralization (copper – molybdenum porphyry) at its Yaurichica mine in Peru. According to the release, today’s results are from testing of the geophysical anomalies, in the quartz monzonite intrusive, in the eastern part of the mineralized area. This area is known as the central mine which is located between the Cuye and Esperanza zones. The discovery comes as part of an ongoing drilling program to test priority geophysical anomalies at the Yauricocha mine, located 150 kilometers east-southeast of Lima in the Yauricocha mining district, Peru. 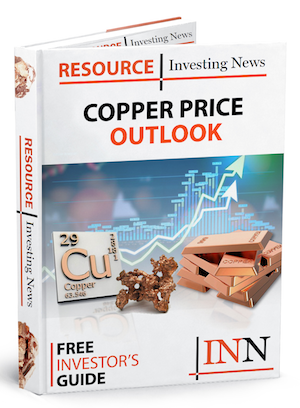 Results to date show mineralized sectors with notable grades of copper and molybdenum and this discovery confirms the existence of a new style of mineralization at Yauricocha. The company will continue with a drilling program which will allow for a better understanding of the distribution of mineralization.